What it’s about - personal financial hygiene, understanding money, cash flow and investments, making smart decisions so that money work for you, not the other way round. One of the reasons the rich get richer, the poor get poorer, and the middle class struggles in debt is that the subject of money is taught at home, not in school. Most people want everyone else in the world to change but themselves. Let me tell you, it’s easier to change yourself than everyone else. […] one dad had a habit of saying, “I can’t afford it.” The other dad forbade those words to be used. He insisted I ask, “How can I afford it?” One is a statement, and the other is a question. 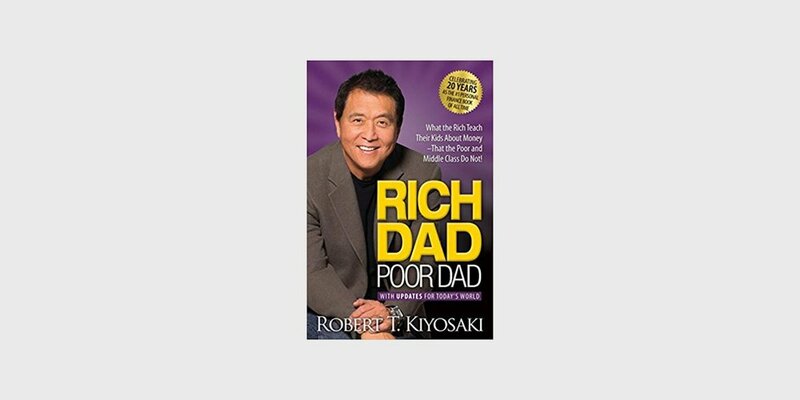 If you want to be rich, you need to be financially literate. Financial literacy is the ability to read and understand financial statements which allows you to identify the strengths and weaknesses of any business. It’s called financial aptitude—what you do with the money once you make it, how to keep people from taking it from you, how to keep it longer, and how to make that money work hard for you. If your financial intelligence is low, money will run all over you. It will be smarter than you. If money is smarter than you, you will work for it all your life. To be the master of money, you need to be smarter than it. Then money will do as it is told. It will obey you. Instead of being a slave to it, you will be the master of it. That is financial intelligence. The poor and the middle-class work for money. The rich have money work for them. Most people, given more money, only get into more debt. Rich people acquire assets. The poor and middle class acquire liabilities that they think are assets. You must know the difference between an asset and a liability, and buy assets. An asset puts money in my pocket. A liability takes money out of my pocket. The rich focus on their asset columns while everyone else focuses on their income statements. The rich know that savings are only used to create more money, not to pay bills. Poor people simply have poor spending habits. Most people have a price. And they have a price because of human emotions named fear and greed. First, the fear of being without money motivates us to work hard, and then once we get that pay check, greed or desire starts us thinking about all the wonderful things money can buy. The pattern is then set. The pattern of get up, go to work, pay bills; get up, go to work, pay bills. People’s lives are forever controlled by two emotions: fear and greed. Offer them more money and they continue the cycle by increasing their spending. This is what I call the Rat Race. Never forget that fear and desire can lead you into life’s biggest trap if you’re not aware of them controlling your thinking. To spend your life living in fear, never exploring your dreams, is cruel. To work hard for money, thinking that it will buy you things that will make you happy is also cruel. To wake up in the middle of the night terrified about paying bills is a horrible way to live. To live a life dictated by the size of a pay check is not really living a life. Thinking that a job makes you secure is lying to yourself. That’s cruel, and that’s the trap I want you to avoid. I’ve seen how money runs people’s lives. Don’t let that happen to you. The philosophy that a pay raise means you can buy a larger home or spend more, is the foundation of today’s debt-ridden society. Financial struggle is often the result of people working all their lives for someone else. If you work for money, you give the power to your employer. If money works for you, you keep the power and control it. When I decided to exit the Rat Race, it was simply a question of “How can I afford to never work again?” And my mind began to kick out answers and solutions. I don’t want to work all my life. I want to be free to travel the world and live in the lifestyle I love. I want to be young when I do this. I want to simply be free. I want control over my time and my life. I want money to work for me. Most people fail to realize that in life, it’s not how much money you make. It’s how much money you keep. Income Statement, often called a Profit-and-Loss Statement. It measures income and expenses: money in and money out. Balance Sheet balances assets against liabilities. It is the cash flow that tells the story of how a person handles their money. Most people don’t understand why they struggle financially because they don’t understand cash flow. […] more money will often not solve the problem. In fact, it may compound the problem. If your pattern is to spend everything you get, most likely an increase in cash will just result in an increase in spending. So what kind of assets am I suggesting that you or your children acquire? Businesses that do not require my presence I own them, but they are managed or run by other people. If I have to work there, it’s not a business. It becomes my job. Keep expenses low, reduce liabilities, and diligently build a base of solid assets. Don’t get into large debt positions that you have to pay for. Keep your expenses low. Build up assets first. Then buy the big house or nice car. Being stuck in the Rat Race is not intelligent. Find an opportunity that everyone else missed. Stop doing what you’re doing. In other words, take a break and assess what is working and what is not working. The definition of insanity is doing the same thing over and over and expecting a different result. Stop doing what is not working, and look for something new. Look for new ideas. Find someone who has done what you want to do. Take classes, read, and attend seminars.